In this verse, not only do we learn the meaning of service, but it’s true face: Jesus Christ. Through his selfless acts and his service to others, he has fulfilled his purpose on Earth and undoubtedly became a leader for others to follow. We are often tempted by the belief that being leader or serving others means being the elephant in the room–we must raise our voice or bulldoze a wall to let everyone know that we mean business. However, what see already is that Jesus was never a boastful leader but a humble servant. He had supernatural gifts but he did not flaunt them; instead he used them to serve others and reveal God’s truth. So this week, be a servant and not a leader. 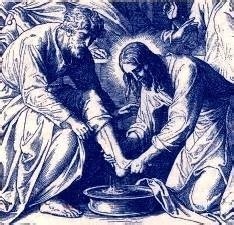 Servants are humble and dependable; leaders are not.